A Real Estate Appraisal Form as it name depicts it is the complete evaluation of a property in order to give information to the client or lender about the each detail of the land they are going to buy. 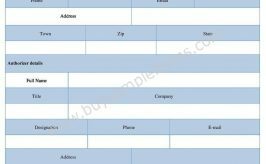 This form is necessary as it includes the market value of a property. Corporate stocks and real estate transaction are the matter of change so that this form gives the exact rate of the market price. The information stated on the form varies with the nature of property. As demands are not same there are many formats of the real estate appraisal forms. You can download the form in PDF and document file as per your needs. Make necessary changes that go with your property and then go for a print. Residential Appraisal Form contains the information about a particular property. It is a very important document for the real estate business where each detail can make the client happy, especially who are going to buy a new property.